The TV pick-ups, renewals, and cancellations continue to come in hot today, with NBC announcing that it’s adding a new crime dramedy, Good Girls, to its 2017-2018 slate. Showrun by Jenna Bans—whose past credits include Desperate Housewives, Grey’s Anatomy, and the recently death-sentenced Scandal—the series centers on a group of suburban housewives who decide to Walter White their lives up with a little (fake) armed robbery. Things inevitably escalate from there, with gunfire, consequences, and general unexpected collateral damage along the way. 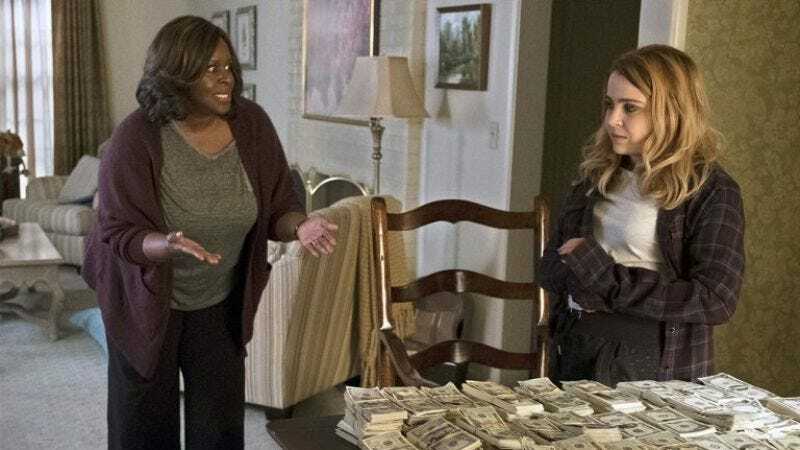 The series currently stars Mae Whitman (yes, her), and Parks And Rec alum Retta. Kathleen Rose Perkins, from Episodes, was also expected to star, but the part is now being recast; meanwhile, Matthew Lillard, Manny Montana, and Reno Wilson all round out the cast, which is being praised for its comic chemistry by those who’ve already seen the pilot.